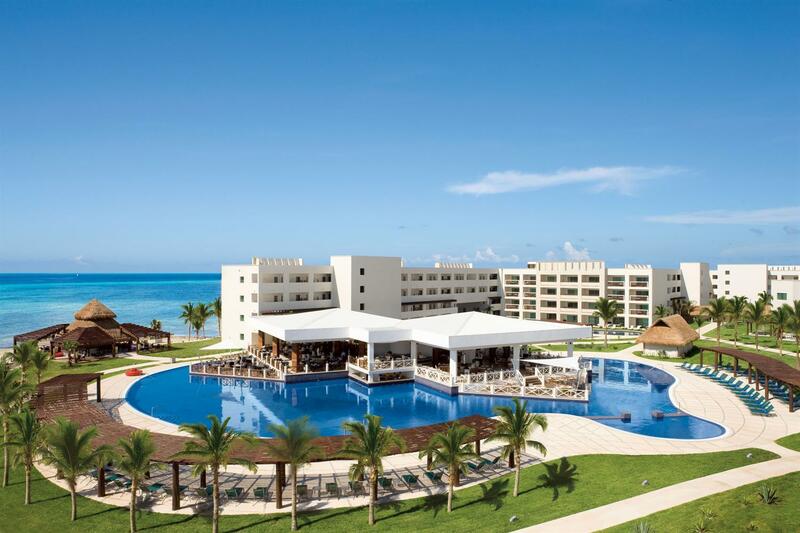 Secrets Silversands is dedicated to providing an unparalleled vacation experience by catering to your every desire. The all-inclusive, adults-only resort offers the opportunity to enjoy gourmet restaurants, world-class amenities and a staff that is dedicated to exceeding expectations. Elegantly appointed rooms offer amazing views and perks including 24 hour room service, in-suite jacuzzis and premium stocked minibars. Hi-tech connectivity enables guests to stay in touch with unlimited free WiFi throughout the resort with the unlimited connectivity feature, free international calling and a mobile app that is constantly updated with the resort's available activities, entertainment and special offers. Each of the 438 suites at Secrets Silversands offer a contemporary and chic design with amazing views and a variety of amenities. Enjoy an en-suite jacuzzi for two, fully-stocked minibar, private terrace or balcony, bathrobes and slippers, large flat screen TV with satellite, 24 hour room service, air-conditioning and ceiling fan, iron and ironing board, hairdryer and in-room safe. Upgrade to the Preferred Club for a better room, enhanced concierge services and access to a private lounge. Nine different restaurants offer choices ranging from a light snack to a romantic dinner on the beach. The á la carte restaurants offer international cuisine including French, Mexican, Pan-Asian, Seafood, Italian and Mediterranean or visit the buffet for a variety of flavors from around the world in one place. Eight different bars from pool-side to a music lounge and sports bar offer up unlimited premium drinks and a place to socialize or wind down. The Pevonia Spa specializes in indigenous treatments and hydrotherapy. Enjoy one of the individual services available including massages and facials, or indulge in one of the many special package including a special nighttime, outdoor massage for couples. From a beachfront ceremony for two to a gazebo wedding for 50, a wedding coordinator is ready to help plan and execute the perfect day. A variety of wedding packages and services, including vow renewals, are available. Just get in touch. 5,200 square feet of meeting space includes theater seating, banquet seating and a host of flexible meeting spaces both inside and out. A dedicated team will help to facilitate meetings and make sure all A/V needs are met. Contact our groups coordinator for more information.